Located 20.5 light years away (123 trillion miles), Gliese 581g has a 100% chance of sustaining life. The planet is located in the “Goldilocks” zone, which is considered habitable. If you used a rocket traveling at 1/10 the speed of light (19,000 MPH), it would take 200 years to get there — who has time for that, Dave? This discovery was the result of more than a decade of observations using the W. M. Keck Observatory in Hawaii, one of the world’s largest optical telescopes. The research, sponsored by NASA and the National Science Foundation, placed the planet in an area where liquid water could exist on the planet’s surface. If confirmed, this would be the most Earth-like exoplanet yet discovered and the first strong case for a potentially habitable one. To astronomers, a “potentially habitable” planet is one that could sustain life, not necessarily one where humans would thrive. 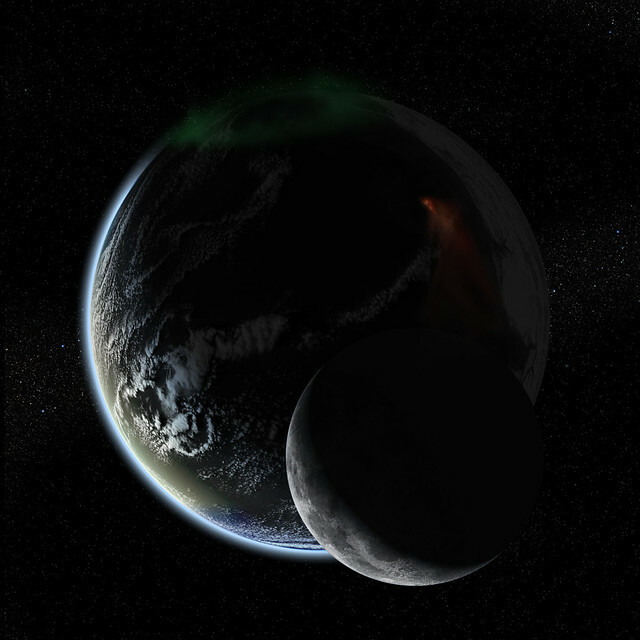 Habitability depends on many factors, but having liquid water and an atmosphere are among the most important. 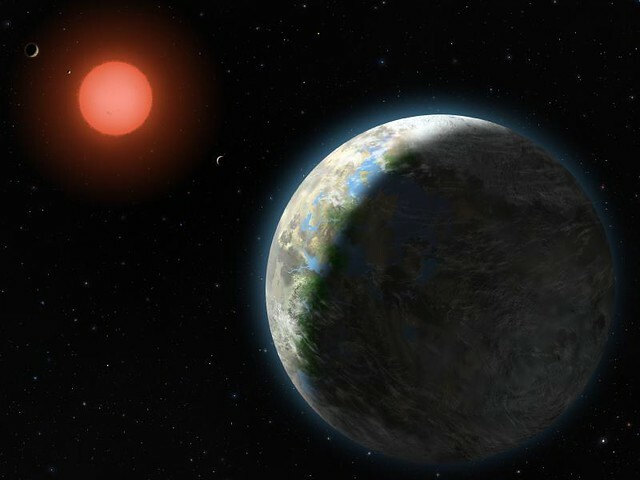 The new findings are based on 11 years of observations of the nearby red dwarf star Gliese 581 using the HIRES spectrometer on the Keck I Telescope. The spectrometer allows precise measurements of a star’s radial velocity (its motion along the line of sight from Earth), which can reveal the presence of planets. The gravitational tug of an orbiting planet causes periodic changes in the radial velocity of the host star. Multiple planets induce complex wobbles in the star’s motion, and astronomers use sophisticated analyses to detect planets and determine their orbits and masses. 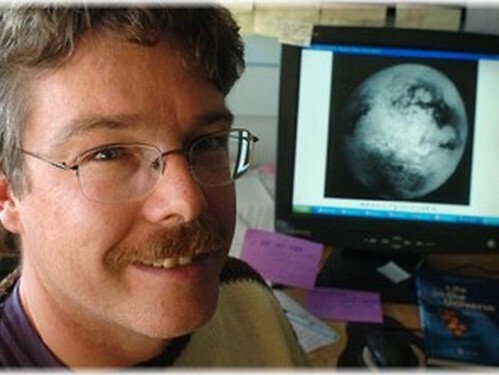 Washington State’s Dirk Schulze-Makuch has a group of scientists working on it. Northrop Grumman testbed creates significant efficiencies for Air Force’s Defense Weather Satellite System program. ViaSat UK launches range of high-capacity satellite-based products designed for use by the UK military and government. Raytheon tests its Army Secure Mobile Anti-Jam Reliable Tactile Terminal with the on-orbit Advanced Extremely High Frequency satellite, becoming first company to test the satellite. Taiwan wins European Satellite Navigation Competition for creative Geo-coupon App based on Global Navigation Satellite System. KVH honored with two awards for the small size, fast data rates, and affordable service of the 14.5″ TracPhone V3 maritime terminal operating on its global miniVSAT system. ViaSat UK expands beyond traditional secure storage device market, offering satellite broadband for businesses and government departments. Globalstar contracts Thales Alenia Space to develop software patch to be sent to Globalstar satellites to overcome momentum-wheel failures that have taken one satellite out of service and threaten others. Iridium offers iOS app AxcessPoint Mail & Web App to bring satellite connectivity to iPhone, iPad, or iPod touch. Nigerian Communications Satellite Limited plans launch of replacement satellite NigComSat-1R on December 19. ULA successfully completes second milestone toward certification of Atlas V launch vehicle for human spaceflight. Gilat is selected by leading Latin American operator for delivery of full scale SkyEdge II network for national post office program. SatCom Global announces point of presence in Sydney, Australia allowing its customers to terminate Inmarsat BGAN and FleetBroadband IP traffic locally, reducing latency and cost. Four-year partnership with ESA allows Air France passengers to see satellite photos of landscape below the aircraft. 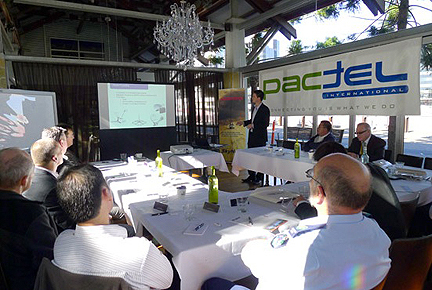 Due to popular demand, Pactel International to continue the just concluded 2011 series of satellite communication seminars in 2012. BGP of China names Marlink as supplier of high quality and high capacity VSAT satellite communications for its fleet of advanced seismic vessels. U.S. Committee report on China urges satellite preparation for potential cyber attack from China and prepare for situations where U.S. space satellites are partially or completely destroyed. U.S. satellite hacking case a mystery; satellite services firm running ground station says there’s no evidence of any attack against its systems; commander of U.S. military space operations says insufficient evidence makes it impossible to confidently attribute blame over possible attempts to take over satellites. China places two more satellites into orbit, Chuangxin 1-03 and Shiyan Satellite 4, via Long March 2D carrier rocket from Jiuquan Satellite Launch Center. SES-4 satellite, built by Spaced Systems/Loral for SES, arrives at Baikonur launch base – will be 50th and largest satellite in global SES fleet. AsiaSat7 satellite set for launch on November 27th. Head of Iranian Space Agency states that it is ready to set up national satellite launch base in the country’s southeastern region. Thales Alenia to build Turkmenistan’s first satellite to be launched in 2014 into orbital slot controlled by government of Monaco. U.S. Supreme Court hears arguments in appeal challenging use of GPS data in conviction of drug dealer. Decision by Canadian Conservative government to spend nearly half a billion dollars on construction of U.S. military satellite sparks concerns about secrecy surrounding project and who will ultimately control information it transmits. All systems go for NASA’s third generation upgrade (TDRS-K) of the orbiting TDRS satellite network communications network. U.S. Geological Survey has stopped acquiring images from 27-year-old Landsat 5 (designed to last three years) due to rapidly degrading electronic component. Harris Corporation completes preliminary design review for synthetic aperture radar payload on modular space vehicle. U.S.A.F. Los Angeles AFB gets upgrade addressing telemetry, tracking, and control for all Air Force communication satellite constellations. Avanti Communications welcomes two new service provider customers – Antech S.p.A in Italy, and BriteYellow Ltd in the U.K., while NASSAT of Spain extends commitment to Avanti. Time Lapse From Space – Literally. The Journey Home. from Fragile Oasis on Vimeo. The video shows his first attempt at time-lapse photography, suggested by his photography instructor Katrina Willoughby. He set up a Nikon D3S camera in the Cupola windowed observatory to take about 500 pictures at 3-second intervals. The project continued using D3S and D2XS cameras. All the sequences that appear in the video were shot by either Garan or Fossum. It shows the space station’s orbits around the Earth, though the photography seems to speed up the motion. The breath-taking sights seen on the video include the world from central Africa to Russia, Europe to the Middle East and footage of the United States. It also includes hurricanes Katia and Irene and several lightning storms. Blue Origin’s New Shepherd features a reusable first stage booster. The company is backed by Amazon.com’s Jeff Bezos, so if you like what you see, do your shopping there this week. Stephen Hawking was wrong. He bet Kip Thorne at CalTech that Cygnus X-1 did not contain a black hole. Now we know for sure, with scientists having done a complete description. Though Cygnus X-1 has been studied intensely since its discovery, previous attempts to measure its mass and spin suffered from lack of a precise measurement of its distance from Earth. Reid led a team that used the National Science Foundation’s Very Long Baseline Array (VLBA), a continent-wide radio-telescope system, to make a direct trigonometric measurement of the distance. Their VLBA observations provided a distance of 6070 light-years, while previous estimates had ranged from 5800-7800 light-years. Armed with the new, precise distance measurement, scientists using the Chandra X-Ray Observatory, the Rossi X-Ray Timing Explorer, the Advanced Satellite for Cosmology and Astrophysics, and visible-light observations made over more than two decades, calculated that the black hole in Cygnus X-1 is nearly 15 times more massive than our Sun and is spinning more than 800 times per second. “This new information gives us strong clues about how the black hole was born, what it weighed and how fast it was spinning,” Reid said. “Getting a good measurement of the distance was crucial,” Reid added. “We now know that Cygnus X-1 is one of the most massive stellar black holes in the Milky Way,” said Jerry Orosz, of San Diego State University. 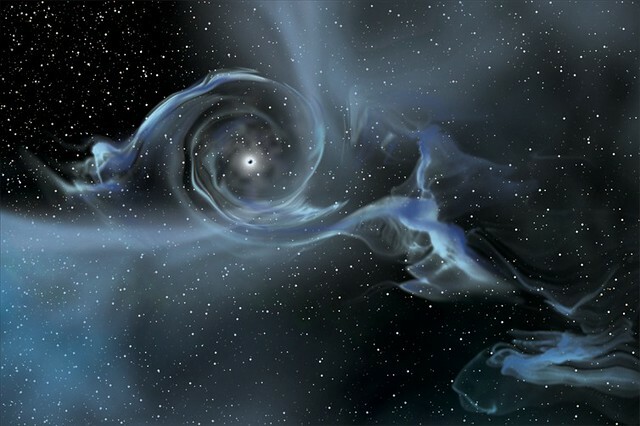 “It’s spinning as fast as any black hole we’ve ever seen,” he added. In addition to measuring the distance, the VLBA observations, made during 2009 and 2010, also measured Cygnus X-1’s movement through our Galaxy. That movement, the scientists, said, is too slow for the black hole to have been produced by a supernova explosion. Such an explosion would have given the object a “kick” to a much higher speed. That top image would make a really good, big print. 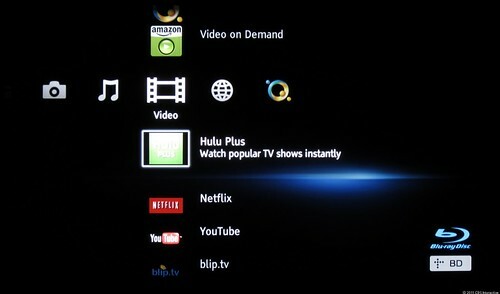 Sony negotiating with U.S. broadcasters to provide content for system to stream directly to PlayStation consoles, BluRay video players, and television sets, competing directly with cable and satellite TV providers. Global VSAT Forum’s “White Paper for National Regulators on Satellite Services in the Ka band” is centerpiece of global campaign launched by international satellite industry to assure continued unfettered access to Ka-band spectrum. Eutelsat “categorically refutes” allegations that it is generating interference to its own satellite to prevent reception in Iran of international Farsi satellite channels. Shenzhou 8 ends highly successful mission for China’s human spaceflight program, returning to a landing site in north China’s Inner Mongolia Autonomous Region Nov. 17. Thales Alenia and ISS Reshetnev sign agreement intended to lead to joint venture to build communications satellites. Panasonic Avionics signs billion-dollar in-flight deal with Etihad Airways to provide in-flight entertainment systems and in-flight connectivity, including broadband Internet, for Etihad’s entire long-haul fleet. U.S. government report reveals attacks by hackers on at least two occasions, targeting command-and-control systems of U.S. Earth observation satellites; China internally reveals it is developing capabilities to cripple an enemy satellite network. SES plans acquisitions in Eastern Europe and Asia, and will reduce number of satellites over the U.S. to address a glut of capacity, moving to markets such as Latin America and Asia. The fourth of six Wideband Global SATCOM satellites arrives at Kennedy Space Center for January launch. SpaceX Dragon Capsule is successfully mated to the trunk that will carry unpressurized cargo to the International Space Station. Cubesates Yahtzee and Farkle, predominantly created by Utah State University students, circumnavigate earth every 90 minutes – experiments under global scrutiny. NASA’s new Mars rover, “Curiosity,” will be launched on November 25 from Cape Canaveral on an Atlas V rocket. Harris Corporation delivers two unfurlable mesh reflectors to Lockheed Martin Space Systems in Sunnyvale CA for DoD’s first Mobile User Objective System satellite. Harris gets 5-year contract to maintain ground system for Defense Meteorological Satellites Program. MIL-SAT Communications selects Cobham’s Sea Tel 2.4m marine stabilized antenna to fulfil recently-awarded U.S. Navy contract. Orange Business Services is certified as Silver Partner in Inmarsat’s Connect Accreditation Program. ITT Exelis and Chronos Technology team up to develop product offerings for Global Navigation Satellite System (GNSS) Interference, Detection, and Mitigation (IDM) market. The two main providers of consumer satellite broadband in the U.S., Hughes and ViaSat, both reported zero growth in subscribers in 3rd quarter 2011. 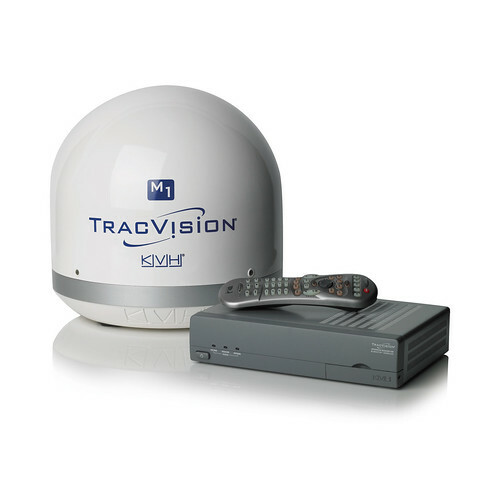 KVH TracVision M1, world’s smallest maritime satellite TV antenna, receives NMEA Industry Award for best marine entertainment product for third consecutive year. Nigerian Communications Satellite Limited responds to N8 billion fraud allegation leveled by a group called Nigeria Unites Against Corruption Initiative. Orbital Sciences Corporation announces completion of in-orbit-testing of Intelsat 18, and hand-over to customer, Intelsat S.A. for commercial service initiation. ViaSat conducts demonstration for U.S. armed services, (during a rainstorm), unveiling industry’s highest performance mobile broadband system using ultra-small 12-inch Ka-band tracking antenna, achieving 4 MBPS forward and 6 MBPS return link bit rates, with simultaneous encrypted HD video backhaul, video conferencing, IP phone communications, and http web browsing. Arianespace signs to launch a new DirecTV Latin America service-providing satellite. 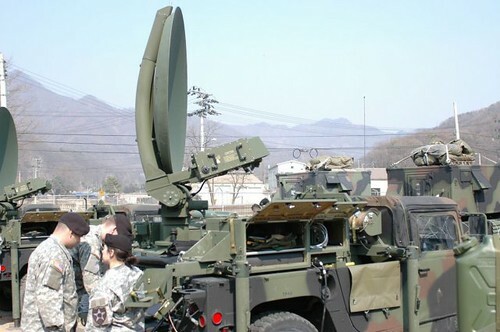 U.S. Army uses SNAP satellite terminals in its most recent Network Integration Evaluation, seeking to ensure that new technologies and network improvements work hand-in-hand with presently fielded systems. China completes second successful docking of unmanned spacecraft Shenzhou-8 with prototyupe space lab Tiangong-1. European Union states protest removal from EUY Budget of next-generation nuclear reactor and an Earth observation satellite considered vital for Europe. Satworx selected to provide satellite communications for renowned storm chasing team TVN for daring missions requiring driving within 1,000 feet of a tornado. Global VSAT Forum works with Ethiopian government for easing of VSAT market rules, permitting authorized companies to use VSAT services in support of famine-relief efforts. DARPA’s Airborne Launch Assist Space Access program seeks to reduce cost, time, and weather constraints of satellite launches, launching 100 pound satellites for 1/3 the cost. Yahlive and telecom operator du sign agreement for du to establish uplink services to Yahlive’s Y1A satellite. BGAN from Stratos provides satellite communications for balloon expedition over Africa’s Mount Kilimanjaro. 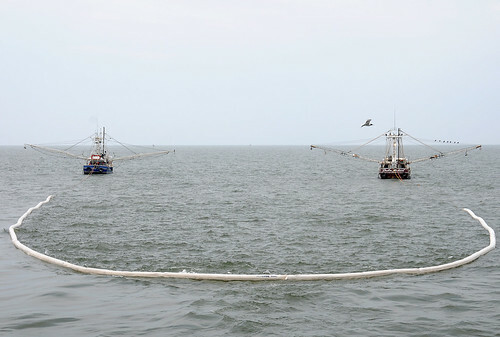 ORBIT to showcase OrBand, a revolutionary, compact maritime VSAT system, at METS 2011. DeLorme announces retail availability of inReach two-way satellite communicator for affordable communications with emergency responders, family, friends, or colleagues using Iridium. Pleasant Software smartphone app iFlares calculates when and where reflected sunlight by polished antennas of Iridium satellites can be seen from any location on Earth. Satellite Phone Solutions launches new social media forum for mobile satellite community. Global Industry Analysts report indicates increased demand for satellite transponders. Canada invests in U.S. Wideband Global satellite communications system. New Zealand may join U.S. global satellite network. O3b raises $137 million for construction of four additional satellites to boost capacity and redundancy over emerging markets. AsiaSat selects Space Systems/Loral to build AsiaSat 6 and AsiaSat 8. XTAR LLC is awarded Future COMSATCOM Services Acquisition Schedule-70 Special Identification Number for transponded services, making it easier for government users to acquire X-band capacity from XTAR. Gilat signs collaboration agreements with Russian Rostelecom Group subsidiary RTComm to provide network equipment and Ka-band end-user terminals for RTComm’s future constellation of multi spot-beam satellites. Hughes to showcase tactical satellite solutions at Global MilSatCom 2011. Satcom 1 promotes recently-launched individual satellite airtime billing solution for charters, fractionals, airlines, and business jet operators. Asianet Satellite Communications to switch off analogue cable TV service and become India’s first multi-system operator to offer only digital cable. Loral Space and Communications expects to spin off its Space Systems/Loral satellite manufacturing division in early 2012, contingent upon equitable treatment of largest shareholder. Dude, Check Out The Moon! The WAC is a relatively small instrument, easily fitting into the palm of one’s hand; however, despite its diminutive size it maps nearly the entire moon every month. 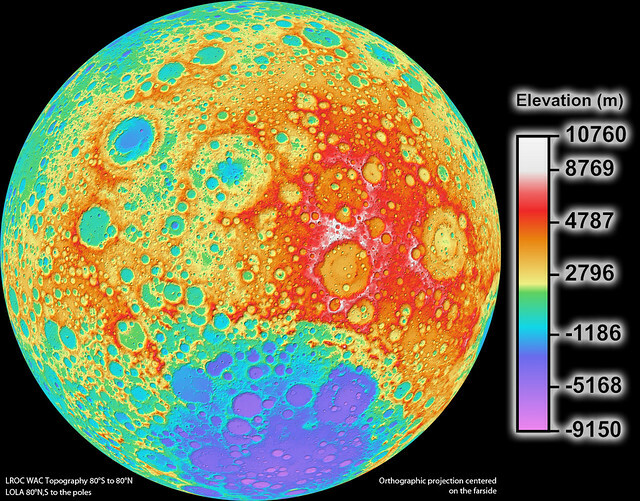 Each month the moon’s lighting has changed so the WAC is continuously building up a record of how different rocks reflect light under different conditions, and adding to the LROC library of stereo observations. Our friends at KVH Industries have been on a tear in recent years. We last read about their TracVision M1 system being a critical component in a boat’s entertainment system. And in September, their MiniVSAT Broadband service went global, licensed to operate offshore and in-port in 125+ countries. Today we read the National Marine Electronics Association has named the TracVision M1 “Best Marine Entertainment Product” for the 3rd year in a row. KVH Industries, Inc., and its TracVision family of satellite TV products are the choice of the National Marine Electronics Association (NMEA) for the 14th consecutive year. The company’s TracVision M1, the world’s smallest maritime satellite TV antenna, was recently honored with its third consecutive “Industry Award” for best marine entertainment product — the product received this honor after its introduction in 2009 and again in 2010. Each year, NMEA members vote for their favorite products in a range of categories, and the product that receives the most votes in a given category is honored with that year’s Industry Award. These awards have become a trusted symbol of outstanding quality throughout the marine electronics industry. Marine electronics technicians continue to bestow this honor on TracVision M1 both for its ease of installation and because it opened up a completely new market for maritime satellite TV. I agree: a shrimp-size satellite TV set-up for a couple “Grover Clevelands” ain’t bad. Look, you’re paying for the damn boat, so why not pay a little more for the good stuff. Meanwhile, back in Middletown, Rhode Island, it’s all smiles at KVH. Satellite signal blocked by your oppressive government? Get the app. Rim Abdolah delivers her news bulletin with admirable gusto for a woman who knows hardly any of the target audience is watching. The Lualua TV presenter has been with the station since its launch in July. Aimed at people in Bahrain, it carries news and talk shows about the country. But since its inception, it has only managed to reach to televisions in the Gulf kingdom for four hours – before the signal was blocked. “As a broadcaster I’m very upset and frustrated because we try to work hard to put our work out to let everyone see it, especially in Bahrain,” Miss Abdolah says. Reports from the satellite provider show the signal is being blocked from within Bahrain. While not officially blaming the country’s government, station management say it is hard to see who else would intervene. Miss Abdolah’s pink headscarf stands out brightly against the blue backdrop of the news studio. And while it was intended to run the channel from Bahrain’s capital Manama, it failed to get a licence there. So instead, it operates thousands of miles from the Gulf, in a two-storey industrial unit on a drab north London estate – with cables running through the front door to a satellite dish in the car park. Several people were killed in clashes with security forces, while hundreds of people were detained including doctors, teachers and opposition leaders – many of whom allege they have been tortured and now face military trials. Thousands of demonstrators had gathered for several days in the centre of Manama, inspired by the popular uprisings which toppled the leaders of Tunisia and Egypt. They demanded a greater say in government and an end to what the majority Shias said was systematic discrimination against them in jobs and services. Lualua TV is named after the roundabout where the protesters had gathered and its logo is an image of the structure that sat on that roundabout until it was destroyed after the protests. Station manager Yasser Al-Sayegh says the station aims to promote peace in Bahrain and champion the causes of democracy and freedom of expression. “We are genuinely independent, we class ourselves as independent but unfortunately the Bahrain government classes us as an opposition because we don’t show what state-owned TV shows,” he says. Too bad there’s no app for rain fade. New report by Global Industry Analysts projects worldwide demand for C- and Ku-band satellite transponders to reach 7,840 36-MHz transponder equivalents by 2017. Speaking on final day of MILCOM 2011 conference, commander of Space and Missile Systems Center speaks of a future where reduced budgets force changes such as smaller military satellites with streamlined capabilities catch rides into space with commercial satellites. First two Galileo satellites launched October 21 enter system’s first validation phase, where 2 more satellites will join them in 2012, a first step toward eventual constellation of 30 satellites. Israel’s Gilat Satellite, two years into strategic expansion beyond corporate world into defense and homeland-security industries, also broadens thrust into worldwide consumer markets. SkyVision launches new Ku-band VSAT services in Africa. Raytheon receives multiple production orders from U.S. Navy and International Partners for next-generation Navy Multiband Terminal protected Advanced Extremely High Frequency satellite communications terminals over past year. Cobham to introduce it Sea Tel FX line of Inmarsat FleetBroadband products to market inMarch 2012. AsiaSat signs with Space Systems/Loral for construction of AsiaSat 6 and AsiaSat 8 communications satellites. Space and Missile Systems Center commander says “tactical EHF” satellites or hosted payloads may be considered to fill gap left by cancellation of the Transformational-Satellite program. LIghtSquared presents company’s vision for coast-to-coast wireless network at PNT Advisory Board meeting; Javad GNSS shows data proving that the company’s high precision GPS receivers coupled with lower power and shifted frequency of LightSquared transmissions have eliminated interference issue. 3Di Technologies and ZipLink, working on USO satellite network for Morale, Welfare and Recreation, jointly optimize VoIP calling services for U.S. troops. Globecomm provides technology that offers automatic roaming between satellites for Global Seatrade heavy-lift fleet. Iridium fortunes a long way from the day of Motorola’s bankruptcy sale to investor for $25 million, as it posts $11.7 million profit and projects subscriber growth of 25% for new year. Al Jazeera Balkans chooses Eutelsat’s W3C satellite to broadcast new network across Bosnia-Hercegovina, Croatia, Serbia, Slovenia, Macedonia, Kosovo, and Montenegro. Glitches including blaknk television screens, dead radio air, and inexplicable broadcasts mar first nationwide test of Emergency Alert System for cable, satellite, and broadcast service providers November 9, but not unexpected. Stratos Global announces that StratosTrax tracking portal with fully integrated GPS and geofencing capabilities supporting web-based location, identification, and tracking, is now commercially available. Russian scientists struggle to recover Mars moon probe stranded in Earth orbit by failure of interplanetary engines to fire, possibly due to failure of orientation system. Pentagon wrestling with how to develop satellite communications it needs cheaper and faster as budgets tighten and current solicitations take too long. Eutelsat’s W3C satellite enters full commercial service. TeleCommunication Systems announces partnership with Hughes Network to incorporate the Hughes HX VSAT system in its TCS HX Enabled Secure Satellite Network. ITC Global completes successful acquisition of Broadpoint’s satellite division. C-COM Satellite Systems recently received $2 million worth of new orders for its iNetVue mobile antenna products from Russia, Europe, and the Middle East. International Launch Services and Eutelsat announce contract for launch of W3D satellite in 2013. Wednesday failed to reach intended orbit. For first time in history of Arianespace, operating teams are deployed on Ariane, Soyuz, and Vega launch pads for three launch preparation campaigns involving 18 payloads. Intelsat’s growing customer base in Africa will see incremental capacity added by three additional Intelsat satellites to be launched in 2012 to serve the region. Hughes Network Systems receives government contract to provide airborne satellite communications. Space and Missile Systems Center announces publication of guide to allow commercial launch providers to compete for future launch service opportunities. Jupiter satellite, under construction by Space Systems/Loral in Silicon Valley, will join 66 other SS/L-built communications satellites in orbit when launched; SS/L recently experiencing strong demand for satellite construction due to high demand for bandwidth. GE Intelligent Platforms and Juniper Networks announce collaboration to develop family of rugged, highly secure routing and network security appliances designed for military/aerospace deployment in harsh environments where security of data is paramount. Gilat-owned Wavestream introduces AeroStream family of airborne-qualified, solid-state transceivers for integration into military and commercial airborne and unmanned satellite communication systems. Globecomm introduces Tempo enterprise media appliance to stream live and on-demand content over Corporate WAN, Internet, Satellite, or any hybrid delivery combination, to desktops, mobile devices, and televisions. Comtech Mobile Datacom Corporation receives additional funding of $11.7 million and $0.5 million to support Army’s Blue Force Tracking Program and Movement Tracking System Program. NSR’s Global Assessment of Satellite Supply & Demand, 8th Edition study, indicates that satellite operators continue to buck global economic malaise. ViaSat plans to offer 12 MBPS download speeds with monthly cap on total date downloaded for Internet service on its ViaSat-1 satellite, with service to begin in next six weeks or so. With its AMOS line of satellite to be rounded out by AMOS-4 in 2013, and it’s “Atlantic Bridge” coverage between U.S. East Coast and Europe or the Middle East, Spacecom seeks to challenge other global satellite operators. Pakistan’s first communications satellite, launched in August by China, has reached intended orbit and all subsystems are functioning well. NASA’s Deep Space Network antenna in Goldstone, California captures radar images of Asteroid 2005 YU55 passing close to earth. Brazilian aircraft builder and National Telecom consider satellite joint venture.